For those that have had the (mis)fortune of spending any extended amount of time with me, you’ll know that I hold an unadulterated love for the Korean Pop Music from my most formative years in the 90s and 00s. 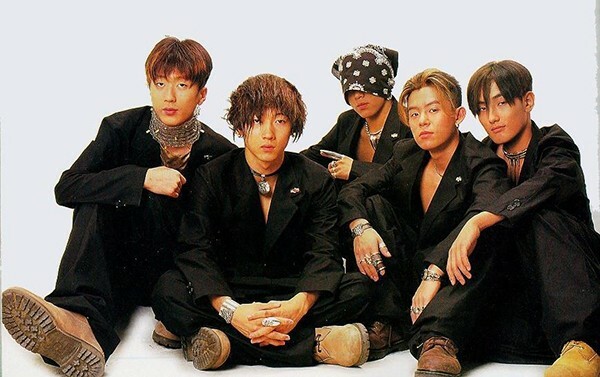 I was in grade school when my cousin moved to the States from Korea back in ’92 and he opened my ears to the world of Seo Taiji & Boys (서태지와 아이들). He popped in a cassette tape of their perennial debut “Nan Arayo” (난 알아요) and I was hooked. Back then, the only way to keep up with the music scene was via a two week delay as all the Music shows (Gayo Top 10, MBC Top 50, and later Music Bank, Music Camp, etc) would arrive at the local Korean Supermarket video stores for rental after being shipped from Korea. I’d copy the tapes and re-watch them over and over – entranced by an entire music industry that sounded a lot like what we had over here, only filled with larger than life stars that actually looked like me. Never mind the fact that my limited Korean vocabulary could only understand 10-20% of the lyrics. I memorized the songs phonetically. I practiced the dances in my living room. And I held a growing angst for my Mom not letting me cut my hair like those on stage. In hindsight, present GT is very thankful cause I don’t have any embarrassing pictures where I look like this – unlike many of my “cooler” friends. By the early 00’s, yours truly was in college. The internet had made it easier than ever to discover, share, experience more Kpop and I consumed it all. I witnessed as rap became less of a novelty and started to evolve into it’s own genre. I tracked the rise and fall of the lives of the stars behind the mics. I saw the OG legends begin to retire and a new school of talent take center stage. And saw artists, young and old, come together during one of the country’s worst financial crises. But as I aged, something about the glitz and glam and perfectly choreographed dance routines, superfluous use of hair product, immaculate lip syncing, and ever increasingly polished sound began to lose it’s luster for me. As the bangs slowly started to recede, so did my passion for the genre. Maybe I outgrew it. Maybe the scene just got too big for me to keep up with it anymore. Maybe the contrarian in me found the impending Hallyu to be too mainstream – I guess I’m some kind of weird KPop hipster. I don’t know. All I can say is that I hold a nostalgic soft sport in my heart for the “classic” hits of yesteryear. Some of it holds up surprisingly well. Some if it is cringe worthy. And some of it kinda makes you go, WTF. But I still love it all. And that, my friends, is why I created #AMKP in honor of the old school kpop. Alma Mater KPop, get it? This is a site for anyone who appreciates their KPop with a little bit of wear and tear on them. Where the cassette tape ribbons have long since tangled. Where the CDs are scratched beyond measure. Where the MP3s have been erased to make room for whatever new, shiny band or group is popular nowadays. If you’re a fan of KPop from the 90s and 00s, come check out #AMKP. Like the music that inspires it, the site is silly, it’s fun, and a little rough around the edges – and that’s the way it should be.